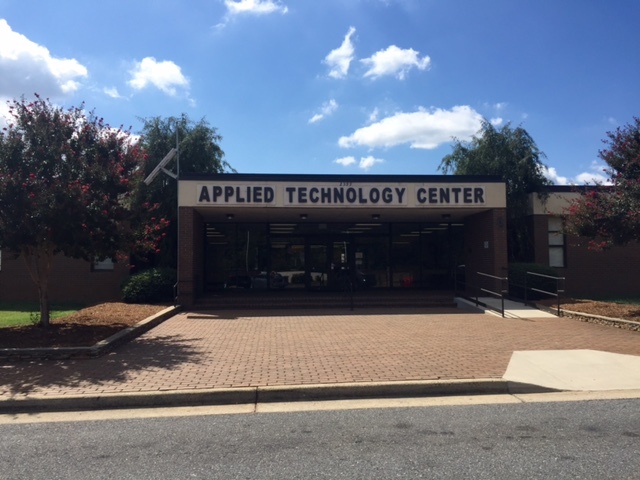 Recently, some of the MHI crew went and visited the Rock Hill Applied Technology Center, which “offers a variety of career and technical high school courses designed specifically to prepare students for success in college, technical/specialty school, or the workforce.” Fed from the three high schools in the Rock Hill, SC school district, Rock Hill, South Pointe, and Northwestern, the ATC is a place where students can practice academic skills in a hands-on environment. For a lot of the students attending the ATC, if you can get them moving and creating, they’re hooked for the rest of the day. With over 18 programs that range from graphic arts to small engines technology, the school provides a learning environment alongside a hands-on or even co-op experience that prepares students for the work fields they want to specialize in. For some people, traditional learning methods just aren’t effective. Don Frazier (the man, the myth, the legend himself) saw a need and the ATC is part of fulfilling that need. 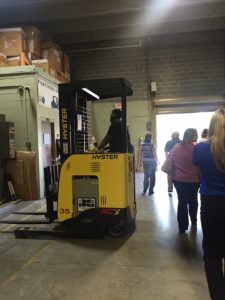 This unique program is one of the few (if not the only) high school level program to train students “essential knowledge, skills, and experiences related to career opportunities in the warehouse, distribution, logistics, transportation/automotive industries.” But the cool thing about the ATC is that there’s a lot of hands on training. These kids are actually DOING material handling. The goal of the program is to have them 80% trained in the skills they need by the time they leave. The other 20% of training is in job specific skills that will have to be learned on the job and can’t be taught at the ATC. For the more academic aspects of the module, the classes use the four volumes of Fundamentals of Warehousing and Distribution published by MHICTE. They learn principles from the book and combine that learning with workplace skills (e.g. time management, communication, etc.) and then get to put it into practice in a learning lab. For the Logistics and Distribution program, that’s in two parts: the small lab in the classroom and the facility services warehouse on campus. 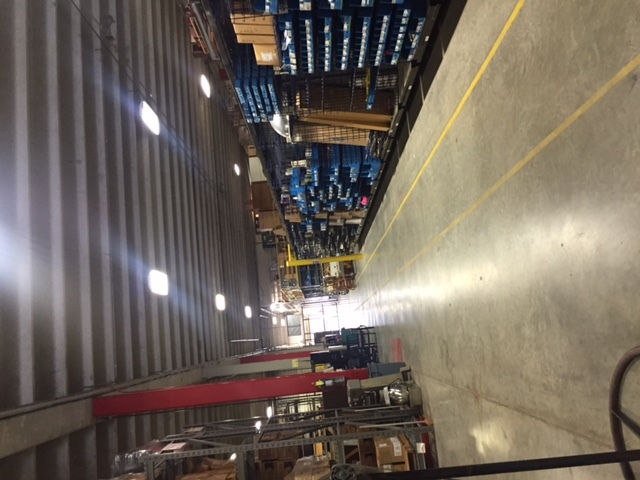 When the program first started, the warehouse was a bit of a mess, as warehouses can tend to be. 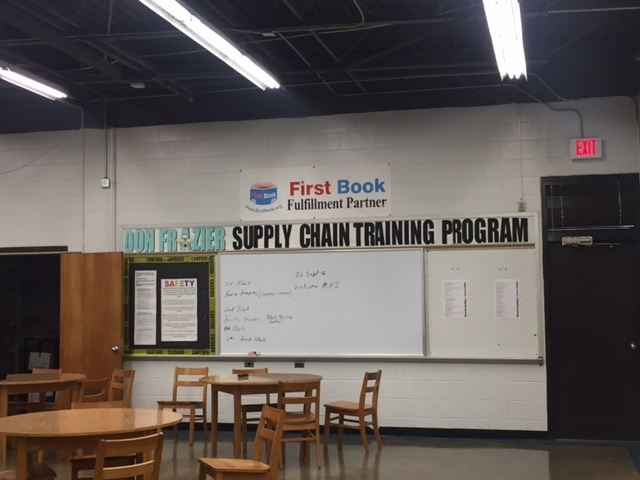 So the students who were working in the environment everyday started to ask why things were they way they were, which led to a student-driven reworking of the warehouse. 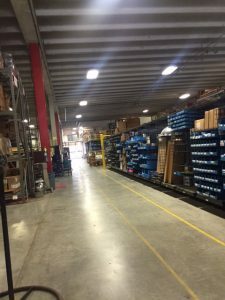 Not only is the warehouse better organized, but it gives the students a better understanding of the whole system… because they put it together. They know what they’ve got. They know where it is. That’s what material handling’s all about. When they start looking critically at their work, newly introduced ‘problems’ aren’t problems because it gives students something to solve. For example, Exceptional Ed had too much inventory, things they weren’t using but needed to keep, and the teacher handed the problem to the students as a real-time experience. Under direction, the students are figuring out how to store and manage the inventory. They are making real time adjustments to the system, and that’s an invaluable skill. Now that we’re 600 words and some pretty pictures in, we might need to wrap it up, but there’s actually more that we learned! So this is going to be a two-party trip down memory lane. Check back soon for the second part of this blog that will talk about the outside programs the ATC partners with as part of the Logistics and Distribution program. 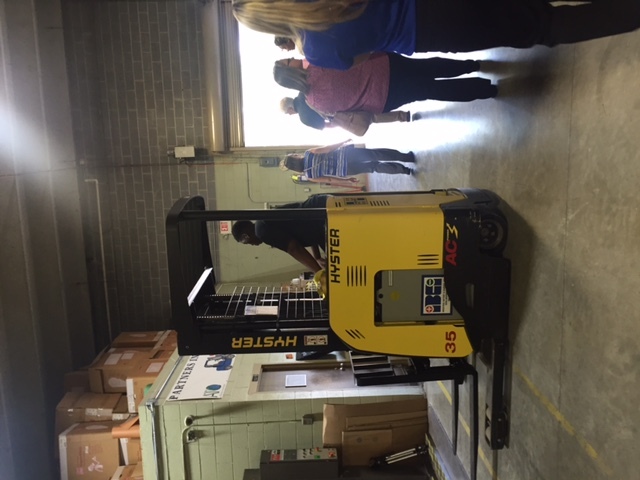 Real world material handling… in a high school. How cool is that?!? !